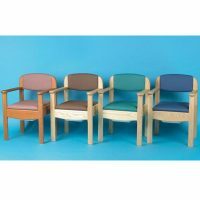 Design based upon the awarding winning Swift shower stool and chair, converted to an attractive commode chair for use around any location in the home or institution. 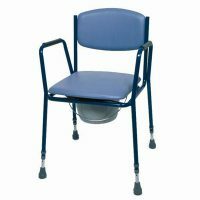 This chair can also convert into a toilet frame for use over the toilet by removing the backrest and commode pan. 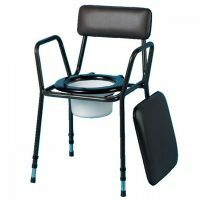 The commode is constructed from aluminium and plastic that provides stability for the user and flexibility to adapt to uneven floors. 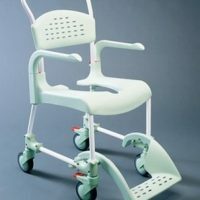 The legs are adjustable in height to find the ideal seating position. 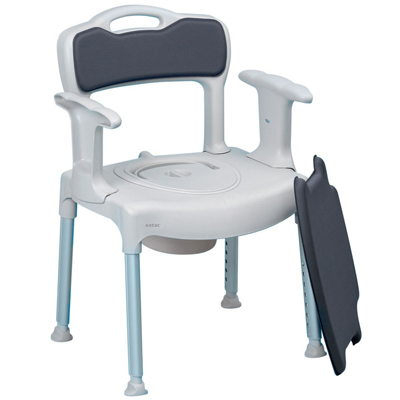 Comes complete with lightweight armrests that can be easily removed for side transfers.